Pete Hegseth was, without a doubt, one of the best speakers we ever had. His message was powerful, well delivered, and from the heart. . . . The most frequent comment to me has been, "I could have listened to him for hours." Pete was a great--passionate speaker with a timely message. Pete connected with our guests on a personal level. He got a standing ovation which was well deserved. We will be talking about him for a long time! What a pleasure to host an event for the incredible Pete Hegseth. His presentation was powerful and delivered with the passion of a true American patriot. We knew we were inviting a great speaker and must say that Pete and his commentary were so much more than we ever imagined. Impressive! One of the most inspirational messages you could hear. 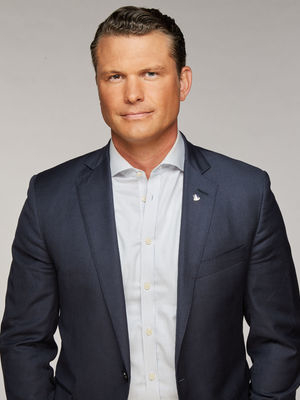 Pete Hegseth had our audience wanting more- they loved his presentation of citizen service to our nation. 'Best speaker' was heard over and over by our guests. Pete was engaged, passionate, funny, serious, and he completely connected with the audience. He received two standing ovations, one at the end of the talk, and again after the Q&A, and he stayed for at least half an hour past the program talking to his new fans who simply did not want to leave." Pete was the perfect person for our "Salute to Veterans" banquet. His passion for our Country, Active Duty Military, Veterans and Conservative Values certainly show in his presentation. His personality was contagious. His willingness to spend extra time with our group to take pictures was fantastic. We look forward to having him back. 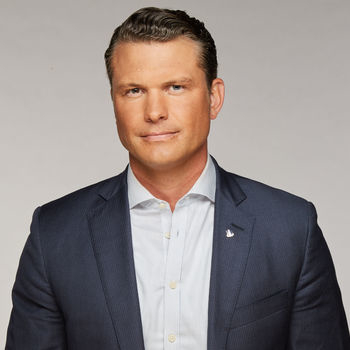 "Our organization has had several well known speakers and without a doubt Pete Hegseth, delivered the most moving and motivational keynote address our organization has ever heard at our annual fundraising dinner. From the moment he arrived, Pete's out-going personality was apparent and he was extremely engaging with all of our guests. Throughout the VIP reception he chatted with our guests, took "selfies", did a photo line, and even agreed to forge his break to go mingle in main dining hall with all of of our regular dinner guests prior to dinner. Once in the dining hall, he also spent hours mingling, taking "selfies, signing books and talking to hundreds of our guests. In fact, after dinner ended Pete was one of the last 15 people out of the building! That is usually unheard of for a keynote speaker; however, he wanted to make sure that everyone who wanted to talk to him had the chance to do so! Pete has an amazing personality that just lights up and energizers the room. Pete spoke about patriotism and how our President and local Republicans, like our party, are fighting for our way of life this election cycle. Hands down it was the best keynote speech we have ever heard. Months later, I still have people who talk to me about his speech when I run into them. From an organizers propesctive, Pete was one of the nicest speakers I have ever worked with once he arrived on site. He was laid back, easy going, extremely flexible, and great to work with. With the firey passion of a thousand suns Pete gets five stars. Pete has the type of personality that is exactly what you are looking for looking for if you want someone who is going to leave your dinner guests talking. I would definitely book Pete again in the future and I would highly recommend him!" Pete is a uniquely intelligent and personable man. His ability to break down issues gets to the core of why Republicans believe what they do, and this makes him an especially valuable speaker for other College Republicans chapters.